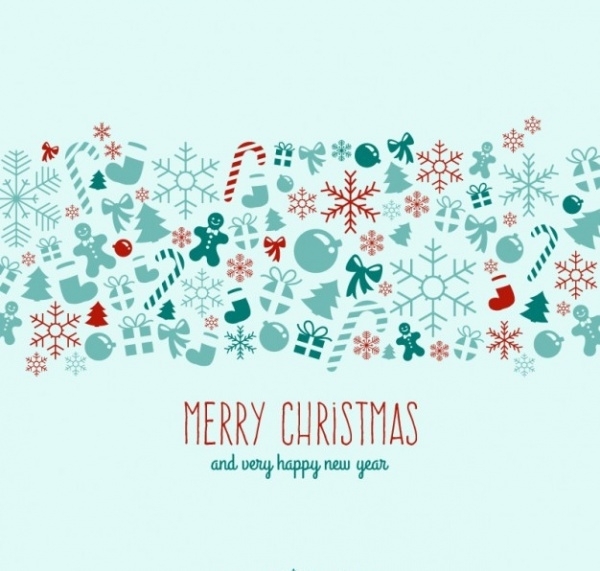 Celebrate this Christmas by coloring up your wallpaper with these free Christmas wallpaper downloads, which can be used for your every mood. These wallpapers are creative and fun to use, for brightening up your same old office wallpaper backgrounds or even for personal use at homes and android phones. They completely free and can easily be downloaded for your office. 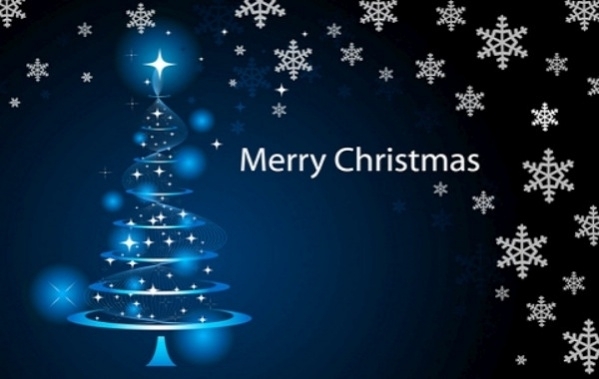 You can also edit them in PSD for sending cards to your friends and family. You may also see Free Desktop Wallpapers. 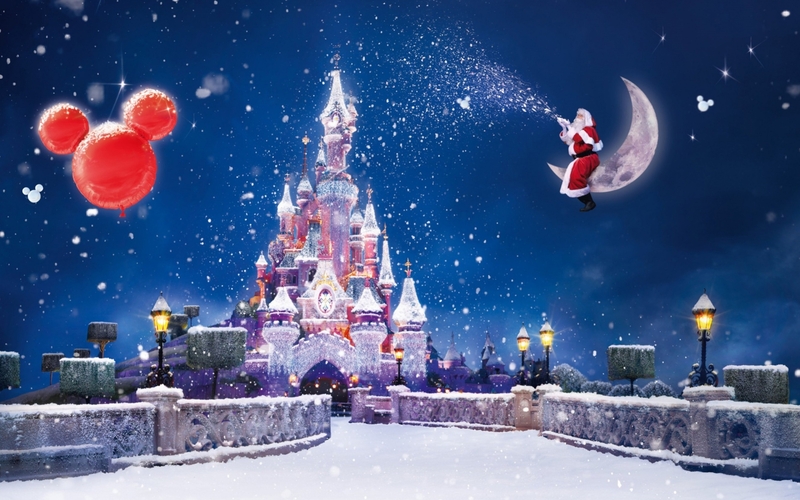 This beautiful wallpaper is attractive and enchanting, capturing the magic with fairy lights and gift parcels. 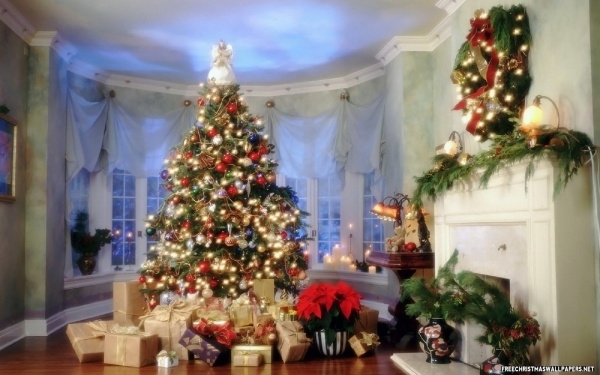 The fireplace and the setting are decorated with wreaths and holly. You may also see Graphic Art Wallpapers. 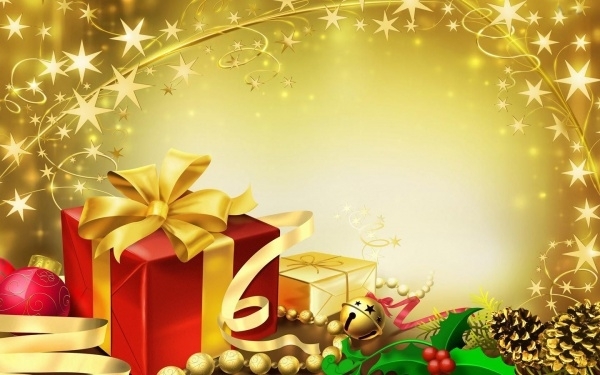 Check out this happy Christmas wallpaper, with different elements of Christmas scenes like snow covered houses, Santa with his gifts and snowman. 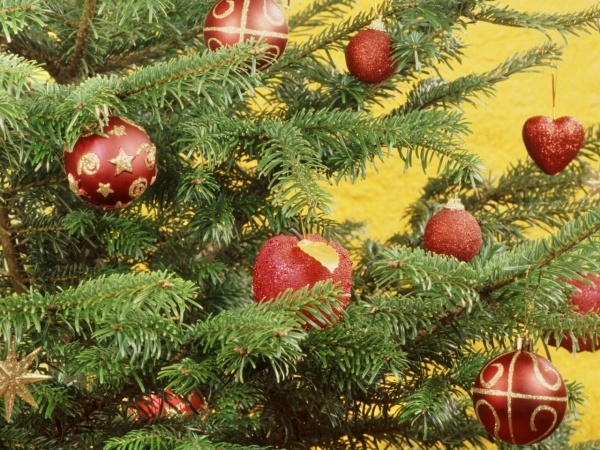 Enjoy a piece of Christmas with this wallpaper. This cute 3D wallpaper design is attractive and vibrant with the use of bright colors on white. 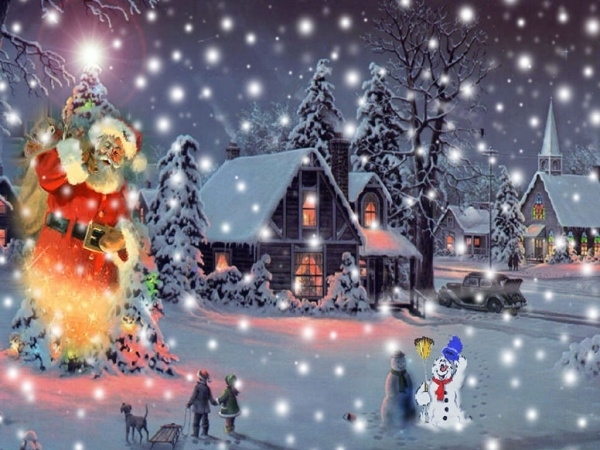 This Christmas scene having a Christmas tree and snowmen is available in high quality. 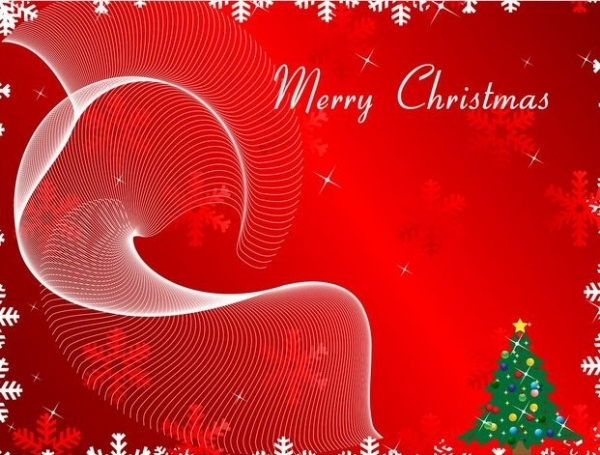 Check out this free Christmas wallpaper abstract which is beautiful in red and white combination. This wallpaper is attractive to the eye and modern in nature. This wallpaper is easy to download and use. 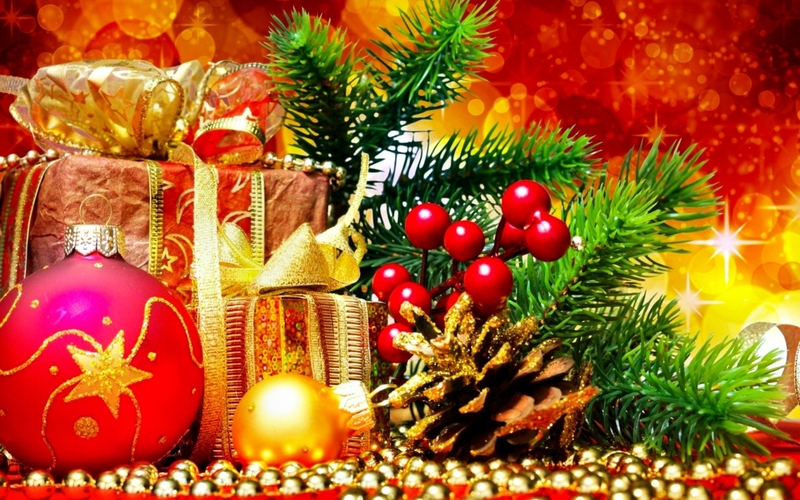 This HD wallpaper is colorful and will definitely pull you in a Christmas mood. The focus is on the church bells which are decorated, in pretty colors of gold and purple. 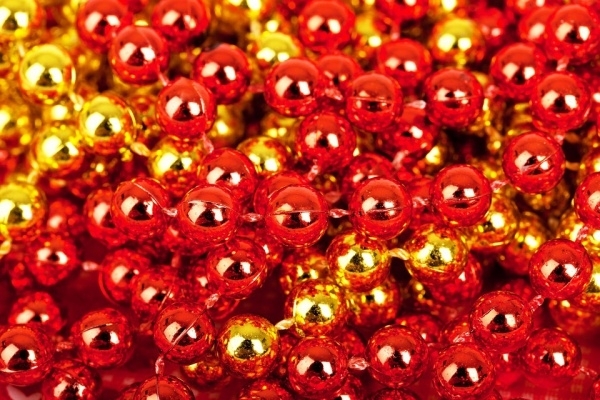 This iPhone friendly wallpaper is a bit of Christmas tree, with red glittering baubles hanging on it. This wallpaper is available in high resolution and can be edited to your liking. 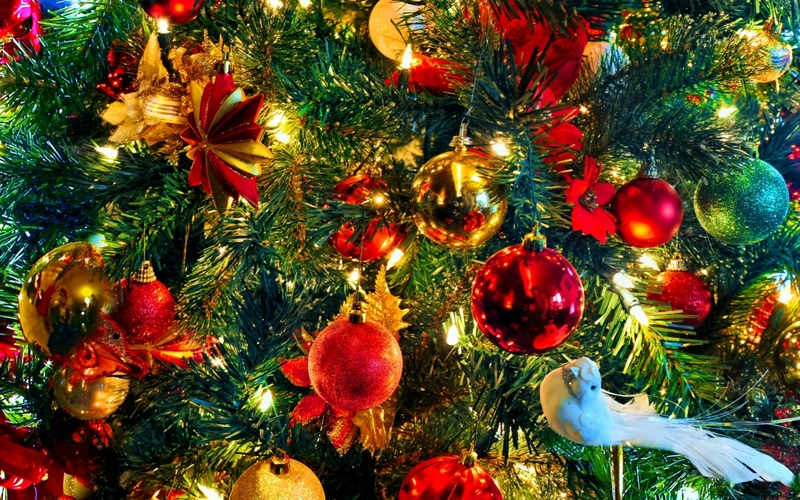 Celebrate this Christmas with this high-quality Christmas wallpaper, of Christmas decorations like baubles, gifts, and pretty gold decorations. They are easy to download and use for desktops and mobiles. 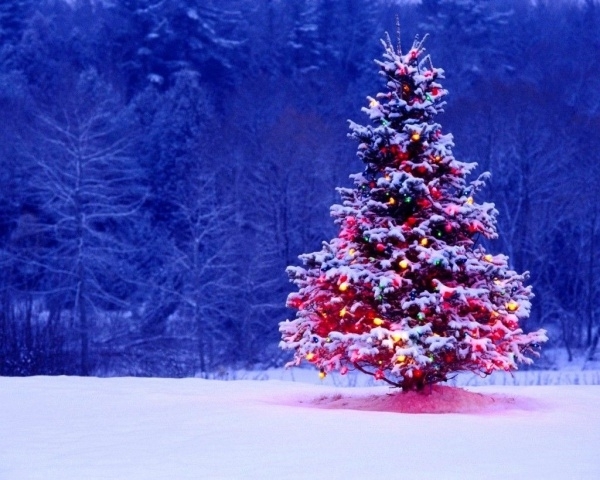 This isolated Christmas tree on a snowy land is perfectly balanced in colors. 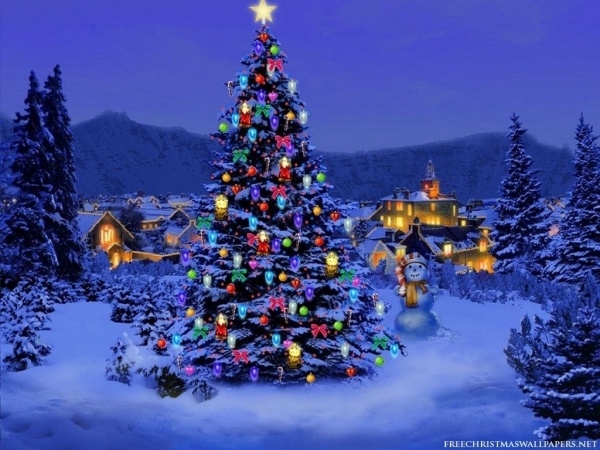 The snow covered Christmas tree has soft glowing lights of the fairy lights reflecting on the snow. 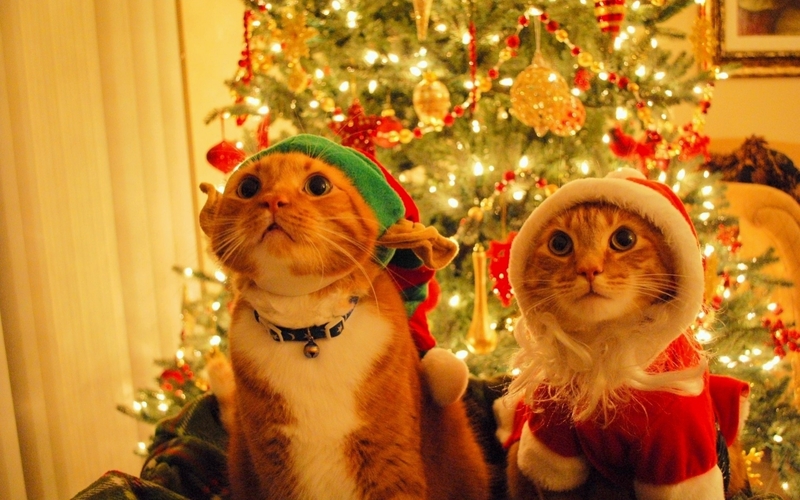 This cute wallpaper of kittens wearing a Christmas hat is adorable and will tug at your hearts. This wallpaper is available in high resolution and can be easily downloaded for desktops. 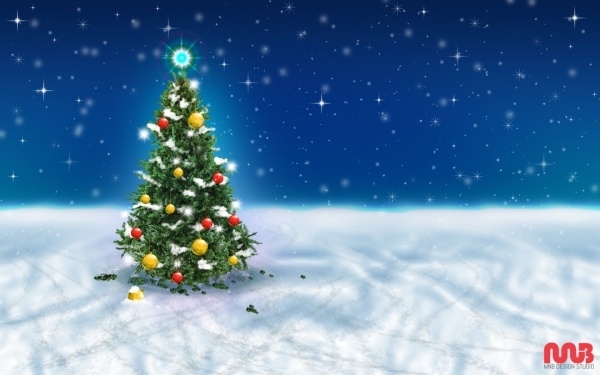 This Christmas wallpaper is beautiful, set on a blue background of the sky and the pale snow. This picture is too pretty to be true and is available in many sizes. 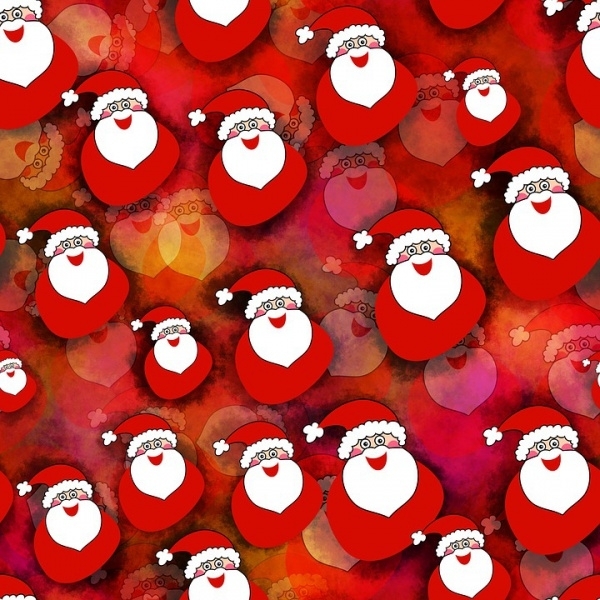 This Christmas wallpaper is funny and cute, with the Christmas Santa laughing good-natured at all of us. 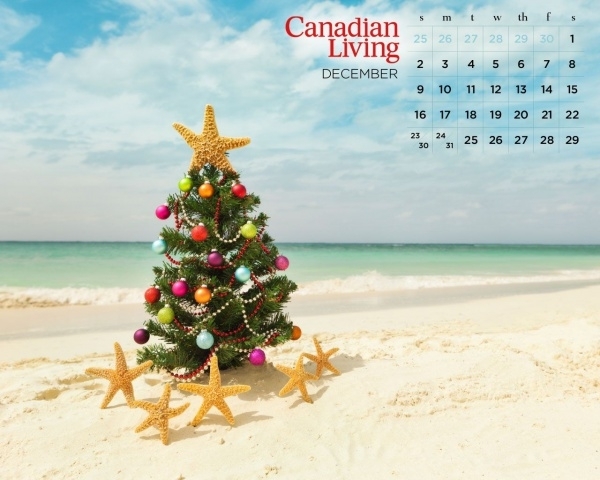 The colors that are dominating the wallpaper are a bright Christmas red, which is attractive. This pretty wallpaper is attractive with the colors of electric blue, shining in shimmering lights against the dark background. The snowflakes covering the wallpaper are pretty. 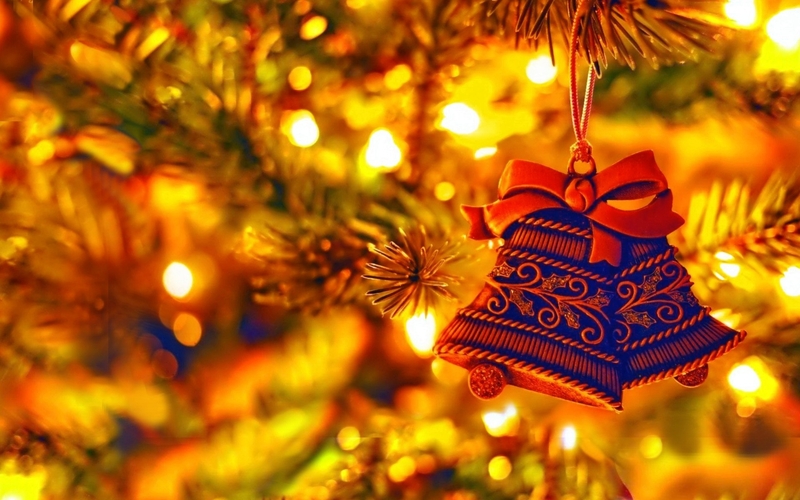 This high-quality free wallpaper is pretty, with the golden background lights and the background which allows the other colors from the elements shine out in brilliant colors. 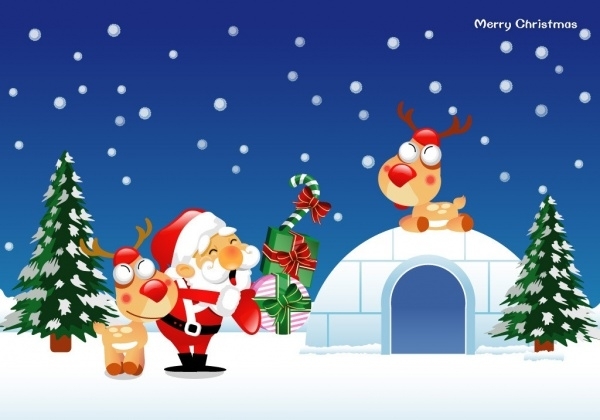 This Christmas wallpaper design is cheerful and cute, with cartoon characters of Santa and reindeer, with a snowy background that is cute and adorable. This wallpaper is easy to download. 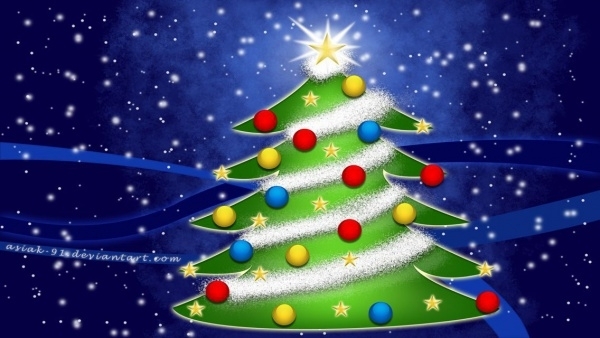 This wallpaper is creative, with bright colors of baubles on the Christmas tree, with streamers and stars. The background is a mix of blue with abstract designs on them. 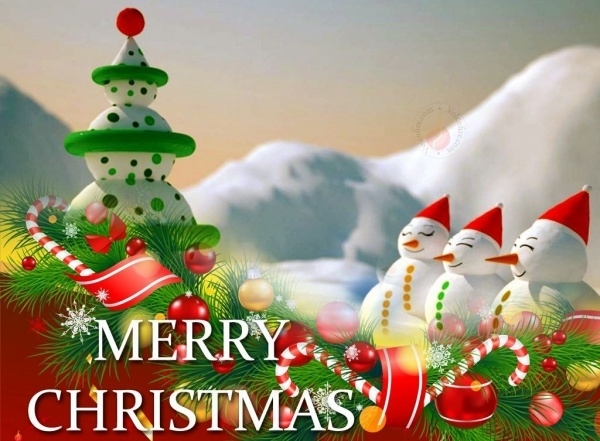 These templates are awesome to use for your personal use, to lighten up the colors in your boring office or to bring on the mood of Christmas with your simple Christmas wallpaper for android, PCs and IPads and Macs. They are creative and innovative, sure to bring up your mood.